This post was written by Francesco Polizzi on Medium. The Bay Area is not like anywhere else in the world, and likewise, an internship in the Bay Area is not like an internship anywhere else in the world. You are here because someone somewhere thinks that you are really damn good at what you do. In my first few weeks I found myself stumped and often without direction. My transition from an extremely formal work environment left me hesitant to reach out to others, afraid of crossing the invisible boundaries which are ever present in most traditional office atmospheres. While I can’t speak for all companies in the Bay, my experience at Mozilla has proven quite different. Not only are there no invisible barriers, but tough questions are welcomed. When you join your team, they will expect you to deliver and they definitely won’t hold your hand along the way. Worrying about what might be “off limits” for you as an intern will only inhibit your initial growth. Moral of the story: don’t be afraid to break things, step on peoples toes, or ask tough questions. You are an intern; that is what you are expected to do. Between festivals in San Francisco, beaches in Santa Cruz, and the beautiful nature surrounding the Bay area there is never a shortage of things to do. Spending weekdays focusing on professional development and weekends exploring is a great way to benefit the most from your summer. A great resource to meet other interns, join meetups, and find events throughout the week is the 2015 Bay Area Interns Facebook page. With close to seven thousand other interns, the page has an event or meetup posted almost daily. Additionally, there are spinoff pages for things like Outdoor Adventures, Climbing, and the under 21 crowd. Find an event you would like to attend and show up. This is the easiest way to make connections and ensure that you won’t spend a single weekend sitting on your couch. 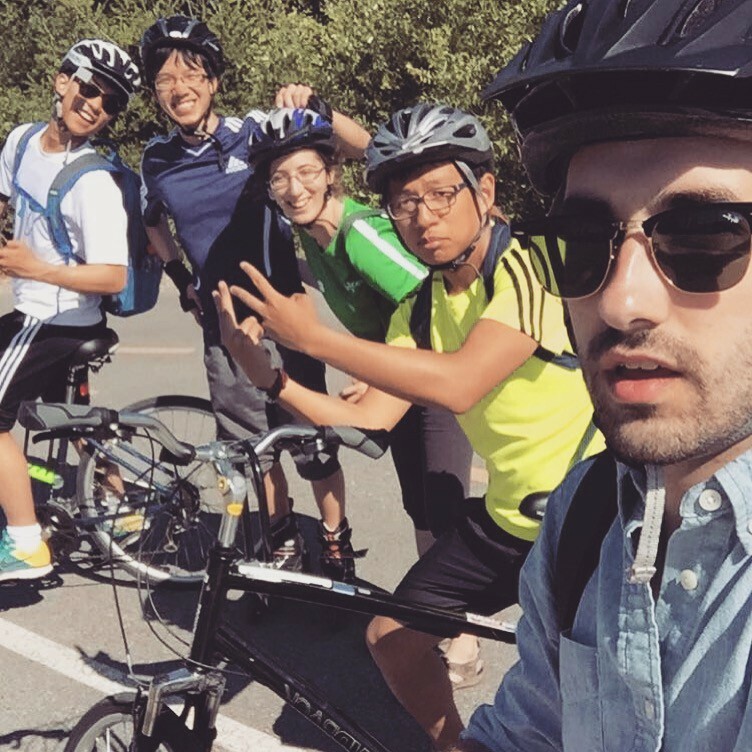 You never know, you might end up meeting a group of interns and spontaneously biking 40 miles on a fold-able Firefox Bicycle the next day. Being an event organizer is a great way of meeting fellow interns. I have found that something as simple as naming a place and time on the Bay Area Interns Facebook page can lead to an event with 15+ people in attendance. Additionally, there are event ideas posted daily which spontaneously pop up throughout the summer. By messaging another intern with an idea and some initial interest, I became a co-organizer for InternHacks happening in July. Along with meeting event attendees, I have been introduced to other intern event organizers who have connections to other hackathons and events in the community. As an intern in the Bay Area, you are ridiculously spoiled. Between the beautiful nature, bustling city life, and ridiculous benefits, there is no place else in the world which can compare. Take full advantage of your time here. Explore every chance you get, and work like hell so that you can get a return offer upon graduation. Previous articleLife @ Twitter | 5 Things I learned during my Twitter Internship. - by Angie Chahin. Next article18 Successful CEOs from Google, PayPal, Virgin Group and more, share their favourite interview questions.